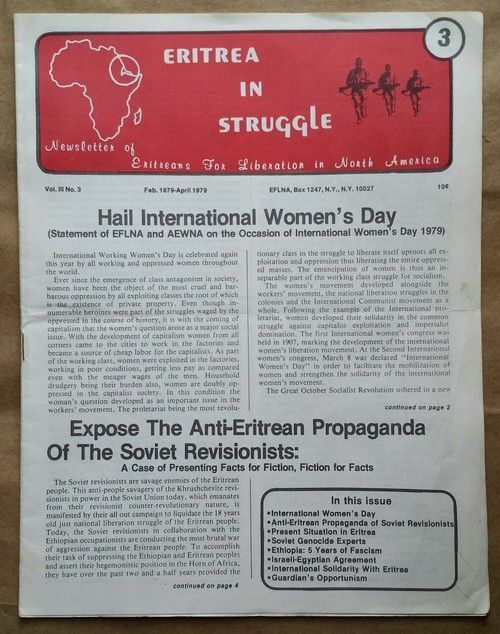 Eritreans everywhere also have access to print media. 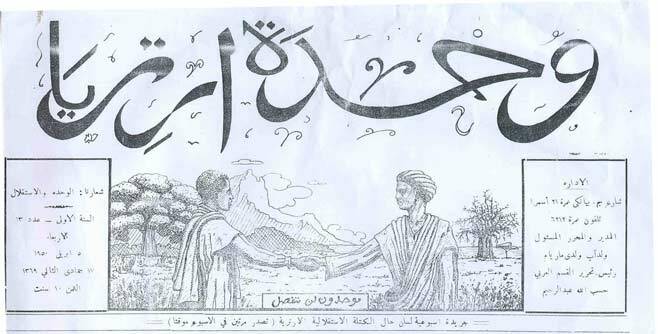 The popular national newspapers Al-Hadisa in the Arabic language and Haddas Eritrea in the Tigrinya language are published daily. 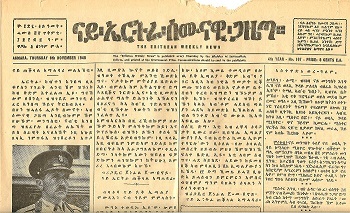 Eritrea Profile is an English language paper published twice a week and Eritrea Haddas, is a weekly Tigre language paper. 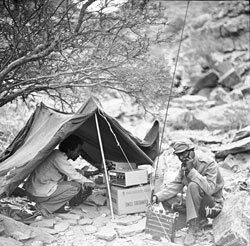 But that is not all that is found in Eritrea. There are many publications that are widely read and are extremely useful sources of news and information. 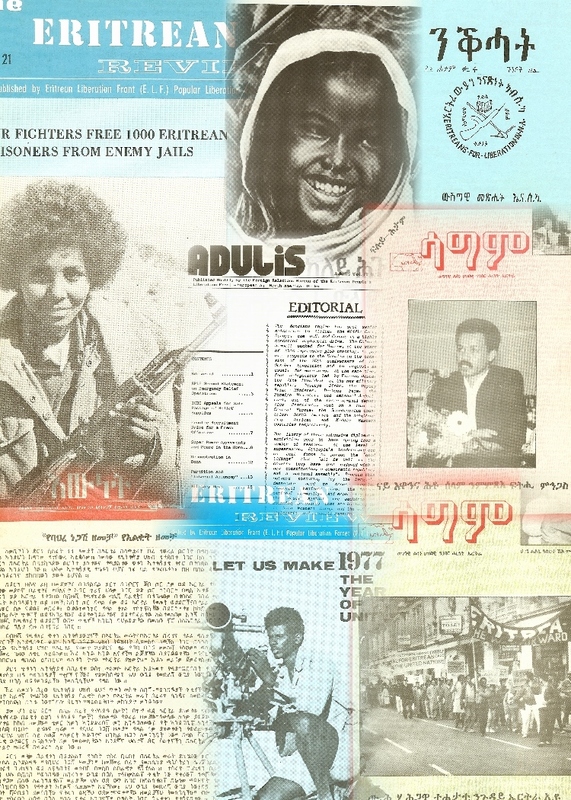 Menisey, Tirigta and Geled are produced by the National Union of Eritrean Youth and Students, Agizo-A publication of the National Union of Eritreans Women (NUEW), Hidri-A publication of the Peoples Front for Democracy and Justice, TeaTek-A publication of the Eritrean Armed Forces, Hizbn police is a publication of the Eritrean Police Force (EPF). Similarly, there are publications from the Ministry of Education and other ministries. 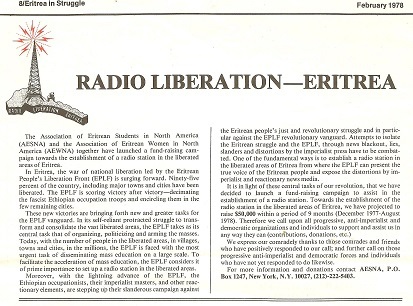 There are also publishing firms in Eritrea that help reduce the cost of publications and encourage Eritreans to produce learning and other materials and they have. 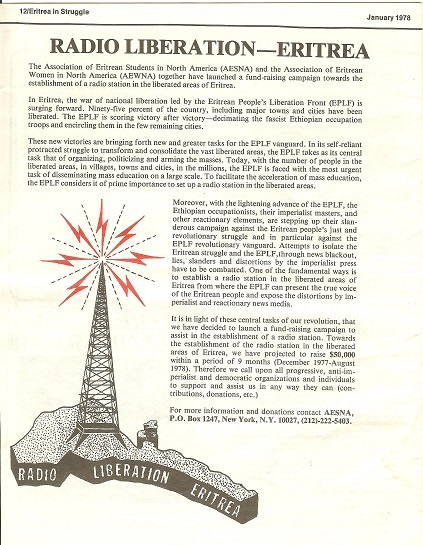 This entry was posted in Uncategorized and tagged Africa, Eritrea, Eritrean community, Nakfa. Bookmark the permalink. What a wonderful read, you have opened my mind about the media in your beautiful country. Thank you for detailing the media info about Eritrea. 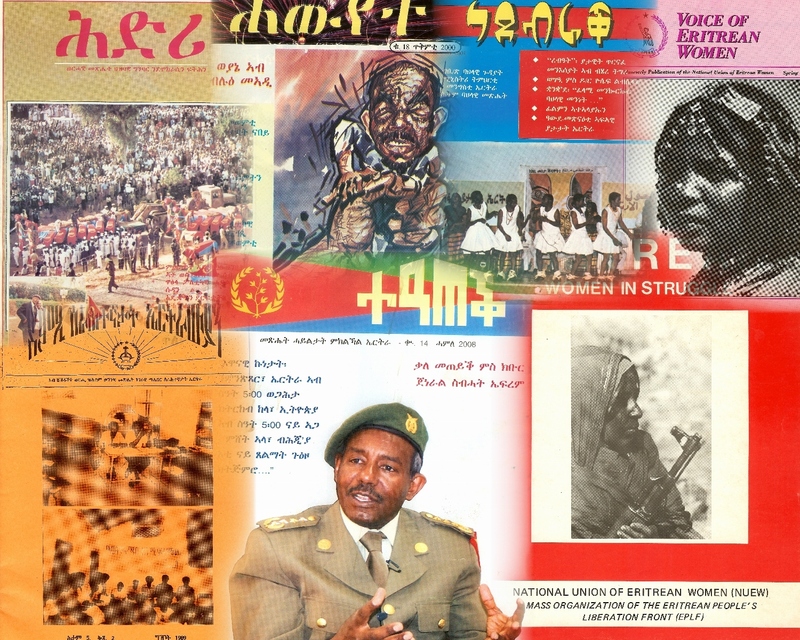 Unfortunately, in this day and age, where cut and paste has become a norm in journalism, we Eritreans, are lucky to be the students of history to know better, with an exception of few who deliberately distort history. You’ve always stood for what is right not what is easy. K’bri neaki jigna haftey.